11| Loki had nodded off into a sleep but before he knew it the sound of a howl brought his eyes to open. A yawn erupted from his large jaws as he stood to his paws and stretched a bit. Once waking up, he padded over towards the other wolves. "What's going on?" Loki asked, and waited for a reply. He scanned the perimeter of the cage and shifted his muscles as he sat down by the group. 13- Moon sighed. "Oh well the past?" The fae looked at Strong with shame. The white wolf sat next to him. "Well I had to leave the pack.." She tried not to look in his green eyes, since the pack she left was Seasonal Trackers, that was his pack. "I walked very long time when suddenly a car hit me." Moon stopped in silence to add some more drama. "Well I survived." The fae giggled. "But the humenst took me in their house. I was really shocked, but they healed my brocken legs and so. One day other human came and took me away.. And I am here now." Munik smiled, simply nodding his approval of the plans Maddox had to distract the guard, and to wait for nightfall at Strong's suggestion. "Yes, yes indeed. It sounds like a plan..." The raven clacked his beak a few times, but stopped short when he heard the snarl of a wolf, and a demand for who was planning the escape. 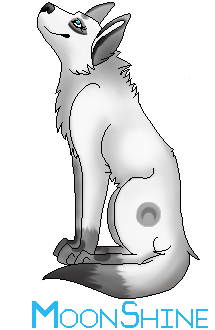 With a sigh, he flapped over to the wolf (Seer), hovering in front of his face. "Mine. And I suggest you keep your muzzle shut and let the adults talk, honey." If there was one thing Munik had no sense of, it was danger, and the possibility of hurting ones feelings. At this rate, he no longer cared, for these canines were getting on his last nerve. 11.Seer snapped at the disrespectful raven and bared fangs. "What be this plan of your then?? "He hissed.The alpha's temper was so easily pitched.Seer growled in impatience.He sat on his haunches and watched the exchange.But he waited eagerly for an explanation. At the snap, Munik had to think fast in order to evade the wolves fangs. At this, he glared at the canine. Alpha or not, this blasted dog had no authority over a creature of the sky. "Well, I was going to help the decent wolves of this blasted place get back home, you know, in the wild?" A small smile formed on his beak as he continued to speak. "Of course, I don't think you'd want to join them. I personally would force you down to the bottom of the food chain faster than you could blink! So yeah, stay a... pet, if you will." 11) Anila whimpered softly when she saw Seer. She then got up and went back to her den. 11) He smiled and clapped his hands. "Sounds like a plan!" He was excited to see the outside world now. All they had to do was wait. His eyes grew wide as he heard the alpha of the group, Seer. He cringed and climbed up onto Strong's back and hide behind his head. He didn't like Seer's angry tone and hoped he wouldn't see him. 11) Realizing with a start that she'd fallen asleep, the raven ruffled her feathers angrily and cast a glare down at the canines below her in the enclosure. There seemed to be quite a lot of animals around lately, and not only wolves for sure. Rowelyn herself, though, had no intention to go back down there and talk to those fools - they'd managed to annoy her before and she wasn't going to forget it that soon. 11.Seer frowned at the ravens words. "It's impossible to go back to the homeland.The Keepers would catch us or even if we did get loose they would track us down. "He shook his scruff and glanced around at the other wolves. "All of you feel this way? "He couldn't rember his old life very well but only the fact that obeying the two-legs was the best way to keep his pack safe.He felt it slightly unnecessary to abandon this life now. "Ah ah ah." Munik placed a wing to Seer's muzzle once he had stopped talking, in a late attempt to shush him. "Now THAT is where you are wrong." He began, winking slightly as he retreated once more, moving to perch on the top of Strong's head, hoping the brown male wouldn't protest. "I doubt the humans would look for a CAPTIVE wolf pack, especially when this young grasshopper here leads a wild one, according to my knowledge." The raven paused, ruffling his feathers slightly. "I would like to see him get home, personally." 11| Loki gave a nod, while his fluffy tail wagged behind him. "Yes. I think it would be great to be outside back in our homelands once again.. It's been so long since I've felt the wind in my pelt, running wild with my pack." He closed his eyes just for a moment to visualize that scene. A sigh escaped his strong chest and his eyes flickered open. "I think it's worth it. Even if they catch us, at least we have made an attempt. What do we have to loose? I'd rather risk my life at freedom than stay locked up for the rest of my life." He stated. A slight growl emerging after his last statement, showing his passionate dislike of this large glorified cage they live in. 11) Maddox puzzled, then he remembered his cousin, and decided to ask Strong about her. "Hey Strong, you wouldn't happen to know my cousin Lira, would you?" The male asked, he hadn't seen her since they were puppies, in her parents' pack, when his parents adopted Thunderbolt. He wondered if she was still alive, he heard she was taken away by a human as a pup, and wondered if it killed her or not, maybe this wolf knew her? 11) Brook padded along the moist grass. She looked around at the wolves around her, smiling proudly. She sat down and curled her tail over her front paws. She looked outside of the cage and then wondered where the alpha male of the wolves were. 11.At the sense of his mate nearby, Seer arose and searched the area until he found a beige pelted wolf sitting alone near the enclosures fence.He padded to the female and nipped her muzzle. "I wondered where you were. 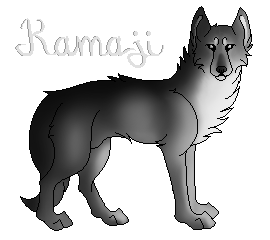 "His voice was thickly sweet and gentle.Despite the fact of his pack wanting to leave the area to their old home, he was happy around her.He liked her muzzle and pressed his head in her chest before turning and settling back on his haunches with a sigh. 11- The proposal of his friend Madox for the plan to escape was not all bad, since it was a way to made that the guard approach to the gate and at same time to be distracted but on the other side fit the possibility that instead of that he/she decide to call a white-coated human .. as he had ever seen before... and then the plan would have to be postponed. The Alpha male Seer was back with them, and was his howl the announcer of it. Moon finally decided to tell to he the way as how she has come to the zoo and was for this than Strong lost the thread that was created about the escaping plan and this break allowed him to continue the talk with Moon "That sounds very bad .. ie your legs were broken? Is incredible that you stay alive .. these humans are well advanced in the healing!" he licked her paws in pity mode and when he was his nose with her legs he could see, behind her in the distance, to the crow talking with Seer and Strong has thought 'This will cause a mess' and inmediately he incorporated his body to a normal position. Zo-Zo was now on his back, surely frightened by Seer's grunts. The Alpha had asked a question that Strtong wanted to answer "I personally yes.. my Alpha.. since had passed a long time since I was forced to leave my beloved and my unborn pups who probably have grown up without a father.." his voice sounded sad and his heart was pounding, he ever imagined that he would talk about something like this with a foreign wolves. Then Munik landed on his head and revealed his social status in wild life, neither more nor less than to the Alpha of the enclosure. Strong waited to see the response of Seer before react, others like Loki has also showed their feelings and apparently he was not the only one with a life beyond the Zoo. Out of the thread again he answered to Maddox's question quickly before join again to the talk "Of course I know to Lira if she is a she-wolf with blue eyes and skin the color of sunshine mixed with snow " he answered to Maddox before Brook finally appeared. 11) "Oh, that's good to know she's alive!" The male said in response to Strong's reply. "I hadn't seen her in, what? 1 1/2 years? How is she? Did those humans do anything to her? Does she remember her family?" Maddox kept going on and on with the questions, he finally closed his muzzle, hoping he wasn't getting too annoying. 11.Seer was unwilling to allow his pack to go about talking of such a plan he was sure would never be successful.He arose and approached the male, Strong though he meant to be heard for all the wolves. "No one leaves.Everyone stays. "His voice with serous and undoubtedly challenging towards the brown male. "Why would we leave when the humans have been good to us here?They took us from our homes but they mean us no harm." 11) He lifted his head from behind Strong's head so he could see Seer approach. He sounded very angry. He wouldn't dare to jump on his back; he might become a snack to him. He gritted his teeth and mustered up the courage to say, "Why are you so against leaving this cage to go to the wild? Have you ever thought about raising your pack in a world with no fences?" He glanced at the humans watching with such interest, "Also have you thought about not being a product on a shelf that is constantly being watched?" 11.Seer glanced fierce eyes at the bird upon the brown wolfs head. "They treat us well here.As long as no one is harmed, that's good enough for me. "He bared fangs. "Tighten that tongue of your or I'll tighten it for you. "He felt anger.It was unlike him to say something like this.He growled.Was it a curse for someone like him to live here?Would it be better for them to leave?He tried to think of home but his memory was faint. 11) He shook his head at the disgraceful tone Seer had used. He knew he should keep his mouth shut to not prolong this anger from him, but he wanted to let the Alpha know how he felt. He took a deep breathe, "You are the one that needs their tongue tightened. You are the only one blowing this situation out of proportion with all of your high raised voices." He regretted what he had said and hoped Seer wouldn't hurt him. "And plus we are just talking we are not trying to escape yet, so you can't accuse us of something we haven't done." He smiled trying to play off the smart comment he added. Munik's eyes widened as he heard Seer speak up again, saying some nonsense about no one leaving. Oh, that was it. He had had enough with this wolf, and he wasn't about to put up with him any longer. He ignored Zo-Zo and flew away from Strong, landing on the nape of Seer's neck, digging his talons into the fur. "You are invited to shut your trap, wolf." He cawed, fighting back every urge to peck a few holes in the stubborn canines skin. "I say you don't have a word in this decision. If they want to leave, they will leave with or without your permission." He paused for a moment, folding his wings over his chest much in a way humans did with their arms. "Or I can just peck your eyes out, now which will it be?" 11- "I saw to she perfectly healthy, not know what humans could have done to she long ago" he answered to Maddox and then said nothing more because Seer was approaching. 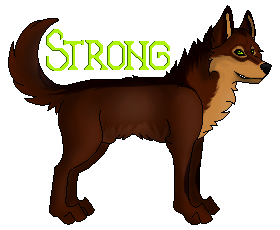 The words of the Alpha have firmly fixed in the head of Strong 'Stay..' then his next words were undoubtedly more severe and addressed to him. When he going to give his view the brave and foolish squirrel already had done, but how right it was, Strong wanted explain to Seer that a golden prison always is going to be a prison even if it is a golden prison. The squirrel spoke of a wolf wildlife very properly and Strong was excited just to hear it. Then he intervened to prevent that the little squirrel provoke too to Seer. "Look Seer, my lord" he said with respectful voice "I do not know about your past, I do not know if you had a life outside of this place and if you do not have one..then I understand that you think that this place is wonderful. I've seen ugly wolves (dogs) obeying those humans like s-tupid sheep and I think it is unnatural even look at us..we live in harmony with squirrels... " he looked at Zo-Zo and said sweetly "no be offended, but.." glanced at Seer again "...that is not common in the wild, and I think the more we remain in this place we lose more our roots " then lowering the tone and without looking in the eyes of the Alpha he said "Do not think you're forgetting where you came from..? Your roots? " silence after his words, some seconds after a sound of flying bird has interrupted the conversation. "Munik!" exclaimed upon seeing the angry face of the Raven coming, but it was too late and the black bird had opened his mouth. Strong was worried, since he feared that Seer could be fully angry and pay it with any of them his fury. 11.Seer could not believe what he was hearing.Defiance and disrespect.How rude he thought and how he must put the bird in his place.He snapped at it, missing only by mere centimeters. "Off my fur, raven, no one threatens me! "He looked to strong as he swiped a paw at the raven and successfully had his talons release and pinned the bird to the ground. "Everyone stays, Strong.All of you will do as I say. "Seer felt that if he needed to punish his pack with fangs then he would if he needed to.His gaze was fierce as his eyes locked with Strong's. Munik ducked just in time to avoid the canine's jaws, but refused to loosen his grip on the male's fur, which was probably the worst mistake he had made in awhile, for soon he was on the ground, pinned by a heavy paw. The raven didn't even listen to Seer's words at that point. Instead, he kept his beak open, cawing as loud as he possibly could. When nothing changed, however, he went with the more violent of approaches. With narrowed eyes, he brought his beak down on the wolves paw, using his talons to push himself out from under him while providing the distraction. Once free, he quickly took to the sky, landing on his previous perch of the fence, glaring down at the scene below. "You CANNOT control those of the sky, wolf! You will pay for this, and don't think I won't hold up my end!" 11) Zo-Zo couldn't believe what he was witnessing. Strong tried to calm the situation, but it didn't seem to be helping. Seer became even more furious and pinned Munik down to the ground. He squinted his eyes in anger and before he jumped off Strong's back, Munik had escaped on his own and took to the sky. 'What is his problem?' he thought to himself. Zo understood why Seer was so against the wolves leaving. He was afraid he would lose his pack. "Seer.." He said in a calm voice from still on top Strong's head. "Do you really want to raise your pups in this cage?" He jumped off the brown wolf's head and skitted over to Seer's paws. "Or would you want them to be the first in your family to have FULL experience of being free?" He looked up at Seer's eyes hoping he would see what he was getting at. He was very exposed being at the alpha's feet, but he wanted to show he wasn't a coward, even though he probably should have just kept his mouth out of in the first place.